Some 80% of IT decision-makers in the UK feel there is a significant gap between what businesses want and when IT can deliver it – the highest figure in Europe, according to recent research. As a result, nearly two-thirds of CIOs feel concerned or threatened by smaller businesses that are more agile and can implement modern IT rapidly. The Vanson Bourne study of 1,800 IT decision-makers and 3,600 office professionals, commissioned by virtualisation and cloud provider VMware, revealed that the IT gap and its effects are more significant in UK businesses than elsewhere in Europe. Across the continent, 65% of respondents think there is a response gap between IT and business needs. 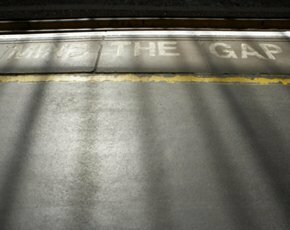 In the UK, the average gap cited by CIOs was five months, and more than a quarter of respondents admitted the delay could be between seven and 18 months. The IT gap has serious implications for innovation, business productivity and the customer base, with 51% of those surveyed saying it will reduce innovation, 52% saying it will reduce staff productivity and 35% citing loss of customers to more agile competitors. Rob Harborn, senior economist at the Centre for Economics and Business Research, said: “As economies move from recovery mode to a period of growth, the pace of business is faster than ever. With this new wave of IT innovation taking place, businesses are in race to find better and quicker ways to align business expectations with IT delivery. The research also found that UK CIOs feel their department is under pressure from the CEO, CTO or board to modernise IT within the next year. The IT department is also under pressure to deliver cost reduction (69%), increase workforce mobility (57%) and move more infrastructure to the cloud (42%). The study also found that almost three-quarters (71%) of the UK's IT decision-makers recognise that smaller competitors can implement modern IT more rapidly and react more quickly to market changes than large, traditional organisations. Angus Gregory, chief executive of Biomni, a UK-based cloud service catalogue company, said: “With the pace at which we operate, it is critical that we have an IT infrastructure that helps us to adapt to business needs quickly – we can’t afford to have a gap between IT delivery and business strategy. In addition to further investment and becoming more closely aligned with business objectives, 57% of UK CIOs identified the need to recruit more skilled talent as key to reducing the IT gap.